The existing E18 will be replaced with a new four-lane 110km/h motorway. Project length includes 23km of motorway and 14km of new local roads. 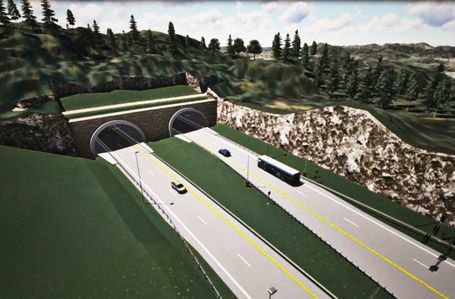 Project involves the construction of 27 bridges, 2 grade separated road junctions, 4 double bore tunnels and 9 culverts. 10 million cubic meters of over burden needs to be moved. This road project is ‘Nye Veier’ (‘New Roads’ road authority) first full package project with a value of almost 3.1 billion NOK (Norwegian Kroner). Exact is involved with survey services across the project. This includes survey stakeout, as built measurements, geometric control and calculations and responsibility for producing end documentation for delivery to the relevant authorities. In addition, Exact has been engaged to establish a survey control network across the entire project.